For the past 15 years or so, I have been a casual runner, entering the occasional 5K race and always enjoying it. Last year about this time, I decided I would venture into new running territory and run in a local women’s 10K race. Why? I have no idea, but it seemed like a fun thing to do (and it was!). Assisted by an unusually mild winter and spring (pretty much the opposite of this year), I started running regularly and using a GPS program called Run Keeper to log my mileage and time. I couldn’t believe I did it! I was beyond excited that even in the 95 degree heat, I could run a complete 10K race–the farthest I had ever run. At the race, I met a woman who, without knowing it, changed my whole year. And maybe my life. She started running later in life and together with her daughter had run many of the Disney races. She encouraged me to go for a half marathon at Disney. She said I could do it. Those words are very powerful. At home, in a crazy fit of lord knows what (running endorphins? 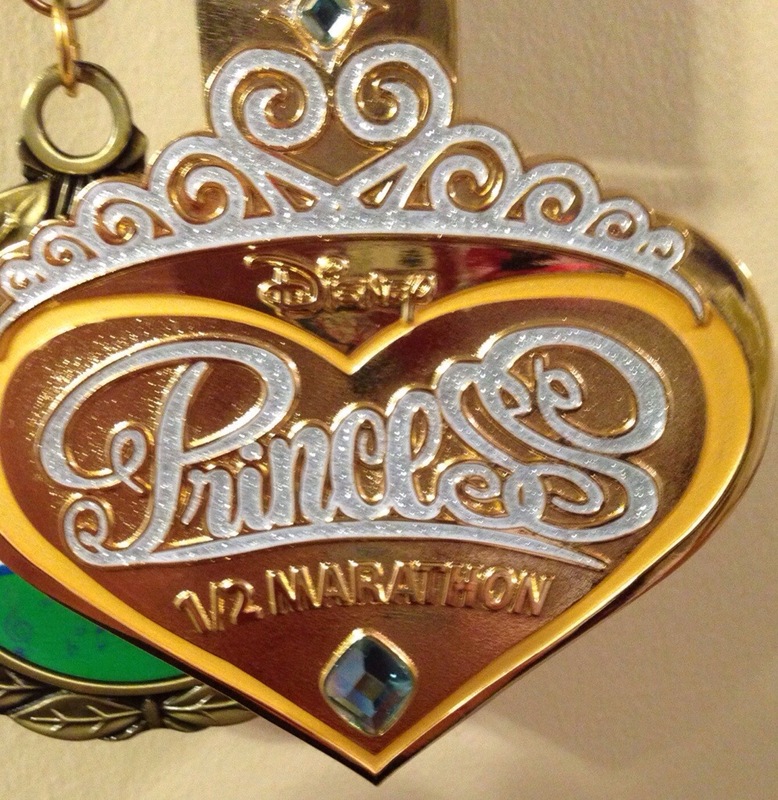 ), I signed up for the Disney Princess Half Marathon. And signed up my husband, Tom, as well. Then I panicked. How in the world would I run 13.1 miles? Well, friends, there is nothing like investing about $3,000 in a race, hotel, airfare, etc. to help you along with a goal. I downloaded a Jeff Galloway training plan and we were on our way. Last week, we ran our race. It was awesome. Full of Disney magic, fun, hard work, beautiful weather and personal satisfaction. While the race itself was fabulous, the journey of our training over the past 6 months was really the greatest part. I am learning to appreciate so many things about my body and to treat it well. To give it rest when needed, to strengthen its weaker parts and to feed it what it needs. And now we have a new goal! We are signed up to run a full marathon in November and the Disney Coast to Coast Challenge in 2015. We have a long way to go to double our distance, but it will be fun trying. Spring is a time when many of us decide to pull out our dusty running shoes and get outside. But just as important as what we wear, is what we eat. Here are some links to recipes that have worked especially well for us over the past few months. Some are meals and others are snacks/desserts. I hope you find these helpful!